It’s already the end of August and I’m just now posting my July favourites. It doesn’t make them any less my favourites though. I drew them during my 30 day creativity challenge, which is another post I still need to write and publish. But heck, better later than never, no? So here are my favourites of July. My new Fjällräven Kanken backpack! I love this backpack so much. I’d love to use it everyday and if it wasn’t for having to transport my laptop I probably would. The bright yellow colour makes me instantly happy when I look at it and I have a couple of Pony People patches that would fit it perfectly. I got myself a shiny Midori ruler in brass. When we were on our quick Paris citytrip in April I almost got it at Merci. It was pricey and I was jobless, so I decided to wait. Now I found it in a local shop in Ghent (ok, to be honest, I asked them to order it and now they sell them). It’s so fancy and sturdy and it finds my handmade faux-dori journal perfectly. July was a month of new stationary supplies. I also got myself a new fountain pen, after I got fed up with the leaking my old one did. It’s a very nice silver Waterman pen I found at a discount. It writes so smooth (even though it’s not a specialist pen for lefties, but it works perfectly). We got some very nice pink antique wineglasses. They look very pretty, although I feel like they’re a bit too nice and special to use every day. I also don’t drink much wine, so I don’t have a lot of opportunities to use them. Still, they make me happy when I see them. There’s already a whole blogpost dedicated to this, but in July I got into listening to podcasts. I made a list of my favourites podcasts, of which My Favourite Murder is my absolute favourite. After rearranging all my living room furniture and accessories I crated a small semi-jungle on top of the crates. I absolutely adore this arrangement, it’s so cute. 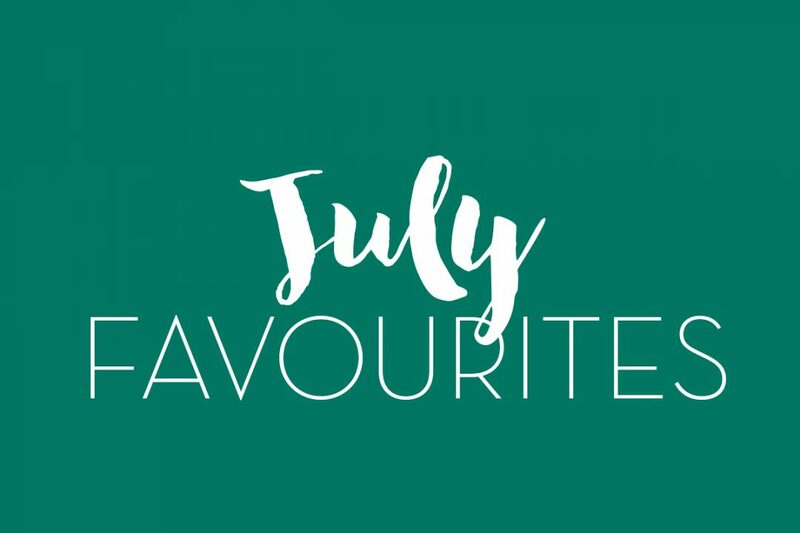 I hope you enjoyed this small collection of July favourites. What were your favourites in July (or August)?